The number of terrorist and criminal attacks using letter bombs and toxic powders has substantially increased over the last few years. Only a comprehensive inspection of incoming mail by applying appropriate technology can ensure that such threats are detected at the earliest point. The XR-PSCAN-2611 X-ray inspection system is designed for daily inspection of incoming correspondence (mail and small packages). 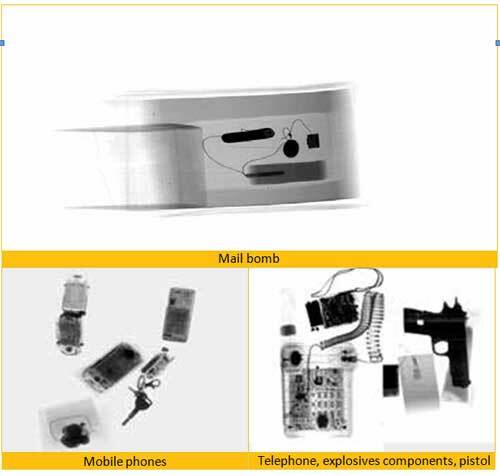 It can detect explosive devices and their components, narcotics, radioactive substances, toxic powders (dusts), such as anthrax, metal and plastic weapons. On its monitor XR-PSCAN-2611 displays b/w or coloured X-ray images of the inspected objects created by a U-shaped line-detector. This type detector guarantees the absence of ‘’dead zones’’ in inspected objects. Adjustable voltage allows detecting small quantities of substances of various densities. Additionally, the internal gamma-detector makes it possible to detect radioactive substances inside the inspected objects. XR-PSCAN-2611 is the smallest and most compact X-ray scanner featuring high resolution colour image processing, adjustable voltage and a U-shaped line- detector. With dimensions and weight comparable to desktop photocopiers, the XR-PSCAN-2611 X-ray inspection system can be easily integrated into any office environment. 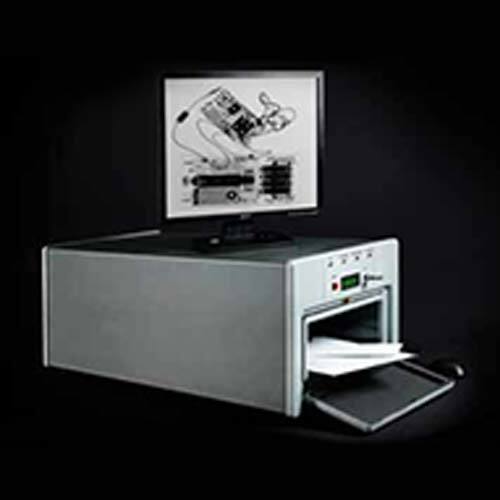 The XR-PSCAN-2611 X-ray inspection system is intended for use by government and law enforcement agencies, the military, private security companies, banks, at commercial premises, television/broadcasting studios, publishing houses, judicial and correctional facilities and other security sensitive areas.